By cupcakeSerenity on May 13th, 2012 . Filed under: Cupcake Ideas, Cupcakes for a cause, Decorating, Kids, Photos . Well it doesn’t get much cuter than giant panda cupcakes. 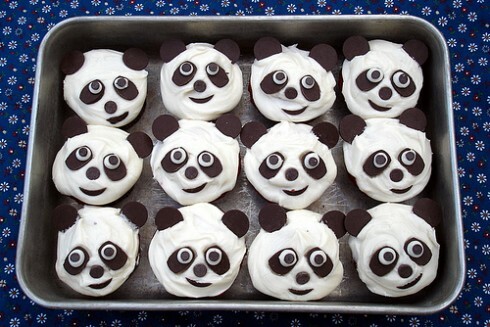 (The pandas are giant, not the cupcakes.) But don’t eat them–they’re endangered!